Mobile addict? Dodgy ticker? You could be both teched up and ready for anything if a wacky patent for a phone/defibrillator is picked up for production. 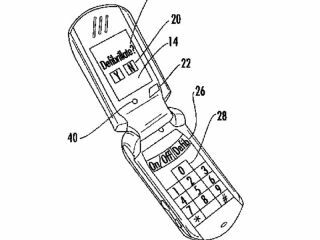 The patent office is always a fine repository of the wild and wacky, and the latest phone design comes as a real shock (sorry). As the patent points out, 400,000 Americans die every year from Sudden Cardiac Death – and if more of us were carrying round portable defibrillators the mortality rate would be much reduced. Two buttons on the phone act as the paddles, and TechRadar is positive that some kind of safety mechanism is built in to stop unexpected ear shocks. Until someone makes the device we can’t tell you how much it would cost, but our prediction is that it will be heart-stopping.